← NWP Midwest Conference — Connect. Collaborate. Learn. View of the Capitol from State Street, Madison. 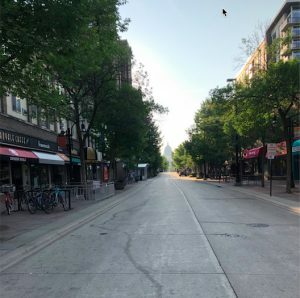 Having never been to Madison, Wisconsin I did not anticipate such a beautiful city nestled upon an isthmus between the lakes Mendota and Monona. In this place, all roads lead to the capitol building where colorful food trucks and various statues of Bucky the Badger dot the landscape. I traveled on this busy weekend with my family and we took in the sites of the city. We loved the intimacy of the Henry Vilas Zoo; had our first taste of rolled ice cream at Rollicious on the iconic State Street; strolled through the vibrant Olbrich Botanical Gardens; and marveled at the serenity of Alumni Park on the University of Wisconsin campus. Madison is, without a doubt, grounded in solid sense of self. As I grow, reaching to the sky, there are those who nourish and compel me forward. There are also those who have served their purpose and since have been pruned, as they have pruned me out of their lives. Some branches, like my biological children, seem to stretch out naturally. Some, like my stepdaughter, are beautifully grafted on. Others, like my youngest, are unexpected shoots who keep me grounded and blessed. I prefer the branches that carry me in new directions, and I am grateful to reach out, bending my pliable branches with others. When I looked around the conference hall I saw a forest of experience and each of us was leaning on the other – branches growing, together. It would be too much to share everything that happened during the conference but, in the spirit of growing together, I will share the highlights. Founder and co-director of the Chippewa River Writing Project, Troy Hicks, engaged us with a fast-paced keynote. As a self-admitted nonfiction guy, he said, “writing is socially implicated. So is argument.” Indeed, in our current social landscape that draws into question facts with a barrage of fact-checking, he pointed us to ARCL’s Framework for Information Literacy for Higher Education in which he moved us to question how we consider sources as evidence. The keynote left us with many promising resources to help our students as we consider our approaches to informational texts. 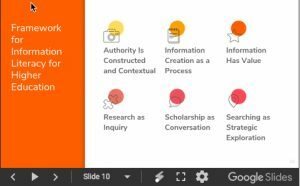 With all of the digital resources we have, it can become overwhelming quickly, but I have learned that I do not have to do it all. We are all learning. We can rely on each other. Building an online Professional Learning Network (PLN) has helped me to make connections, find other teachers to learn from, and make edu-friends along the way. In that capacity, the Midwest Writing Conference was also a celebration! Jennifer Laffin, Paula Borque, and Andy Schoenborn presenting at the NWP Midwest Conference. It was there, at the first annual National Writing Project Midwest Conference, I met a few of my PLN friends for the first time. I had a blast seeing my online writing friends, TeachWrite founder, Jennifer Laffin, and Stenhouse author, Paula Bourque, in person! We chatted to catch up; conferred about our presentation – Amplify: Expanding Our Voices with Authentic Audiences; and learned about how writing helps us grow. We shared writing interests and our passion for helping students grow as writers brought us together. What a great event! What a celebration of writing and writers! I wasn’t sure what to expect, because I had never attended an NWP conference. The difference between this conference and others is collegiality. Each of us came to the conference for the same reason: our students. We want to improve ourselves for them. No one at the conference relies on canned programs or forced compliance with our student writing. We rely on each other. We share our successes, challenges, and celebrations. To be a writer is to embrace vulnerability. No one has the answer because there is not one answer. We are learning. We are learners. With that in mind, we cannot be stopped. As explorers in literacy, we find a commonality that binds us. We are writers. It is the best place to be. Andy Schoenborn is a high school English teacher in Michigan at Mt. Pleasant Public Schools. 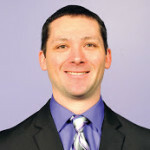 He focuses his work on progressive literacy methods including student-centered critical thinking, digital collaboration, and professional development. As a past-president of the Michigan Council of Teachers of English and National Writing Project teacher consultant for Central Michigan University’s Chippewa River Writing Project he frequently conducts workshops related to literacy and technology. Read his thoughts on literacy in the elafieldbook.wordpress.com and follow him on Twitter @aschoenborn. This entry was posted in Reflections and tagged Collaboration, NWP, Professional Development, writing. Bookmark the permalink. 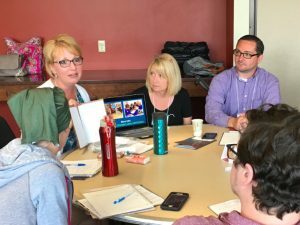 3 Responses to 2018 NWP Midwest Conference: Writing to Learn. Learning to Write. This is awesome, Andy! Looks like you truly enjoyed the sites of Madison and the great learning with colleagues! See you at NCTE! This is a great recap of this event, Andy. The best part for me was meeting and presenting with you and Paula. Can’t wait for NCTE! !